I absolutely love making holiday cookies with my girls. It is tradition in our house to make them for “Santa” each Christmas. We use our cookie cutters of snowmen, angels, Christmas trees, etc. each year. Most times, I don’t decorate. I have to admit, I don’t have the crafty hand at designing cookies, but I am going to give it another try and take my time this year. 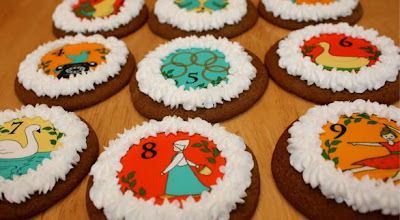 Checkout out theses cool cookies, love how creative people are for the holidays. Make a gingerbread cookie, turn it upside down, decorate and you have a reindeer cookie! Cool, right?